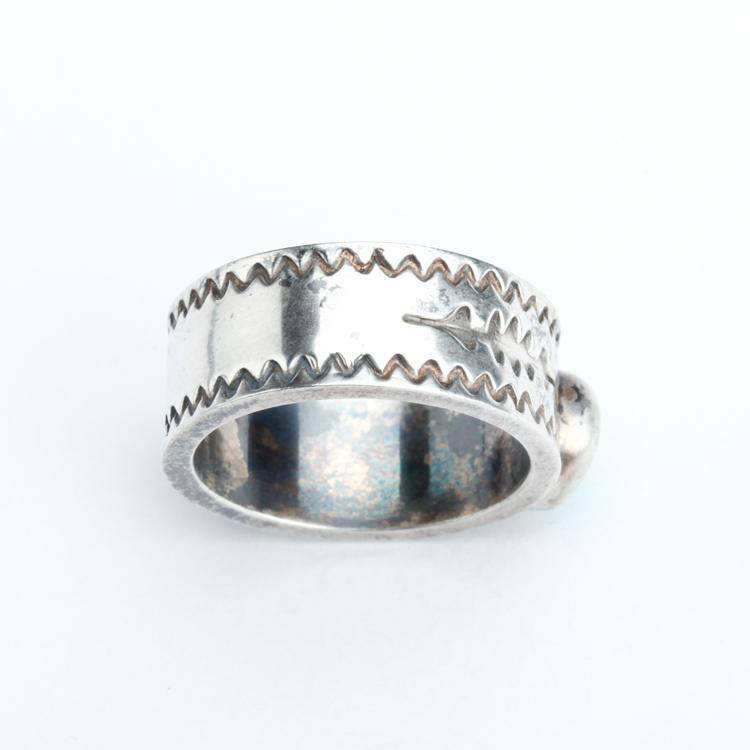 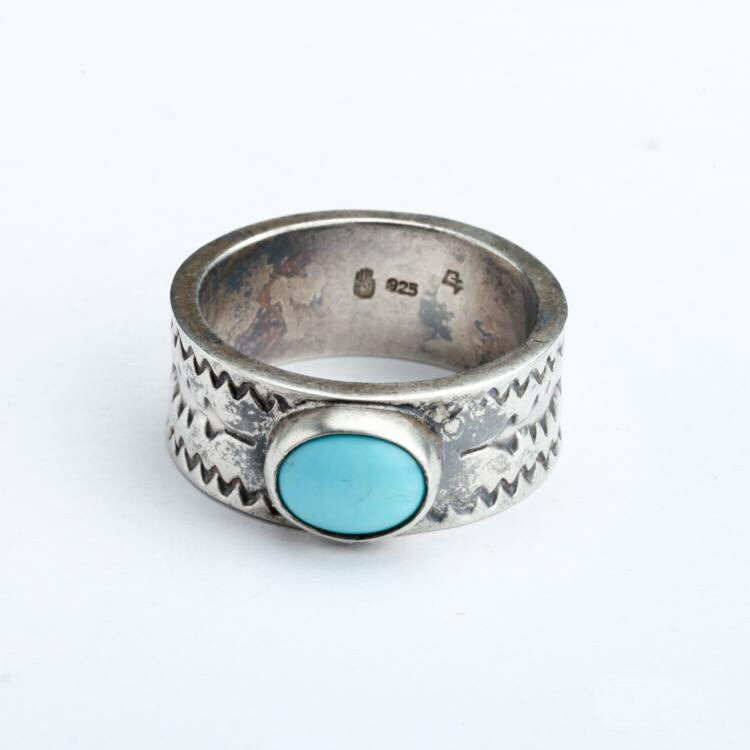 The engraved silver band features a simple zigzag pattern inspired by Native American motifs. 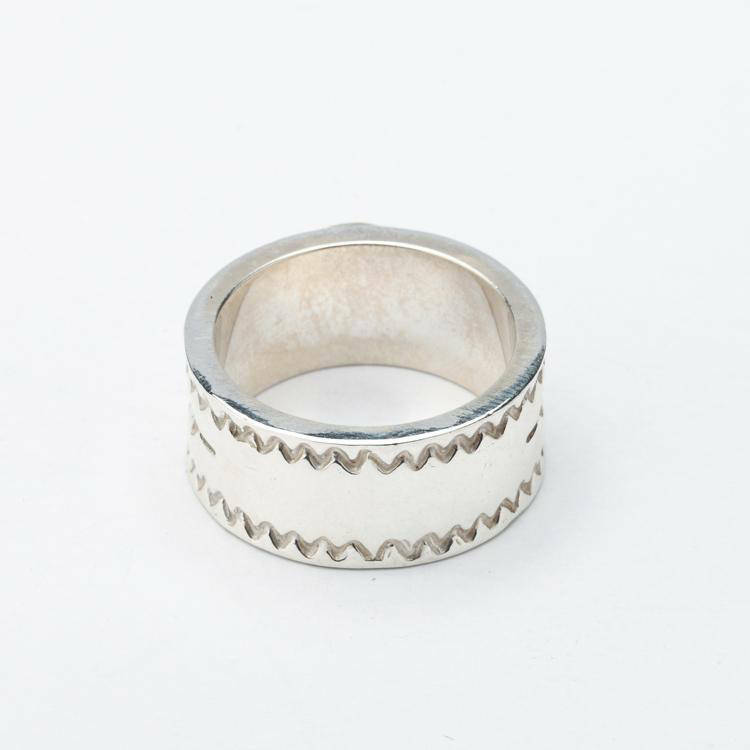 A perfect mixture of simplicity and elegance, the ring is lightweight and comfortable to wear. 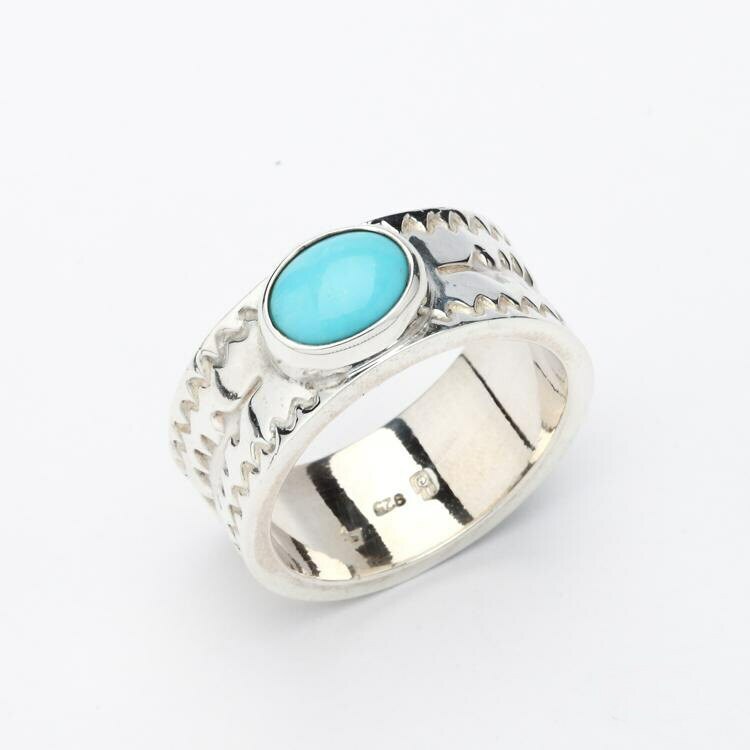 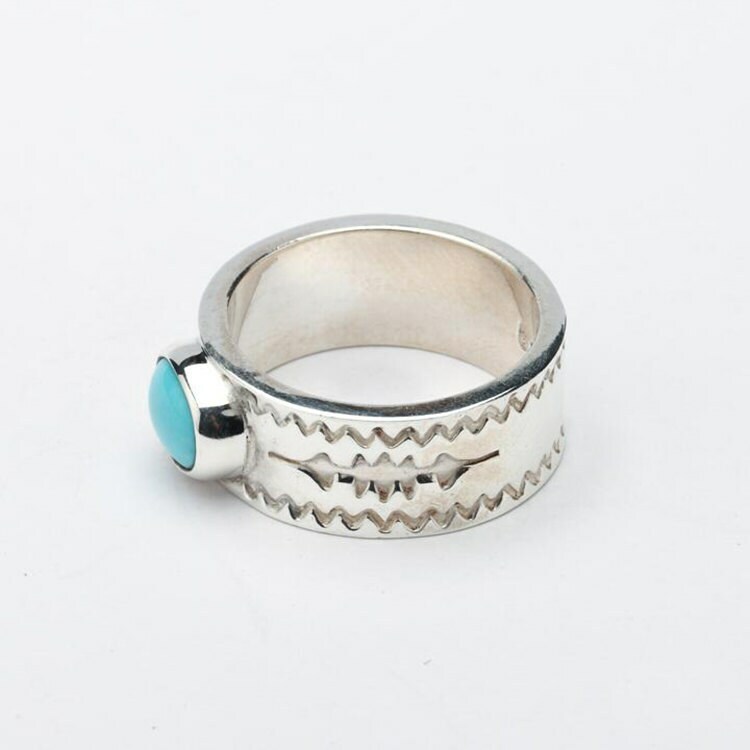 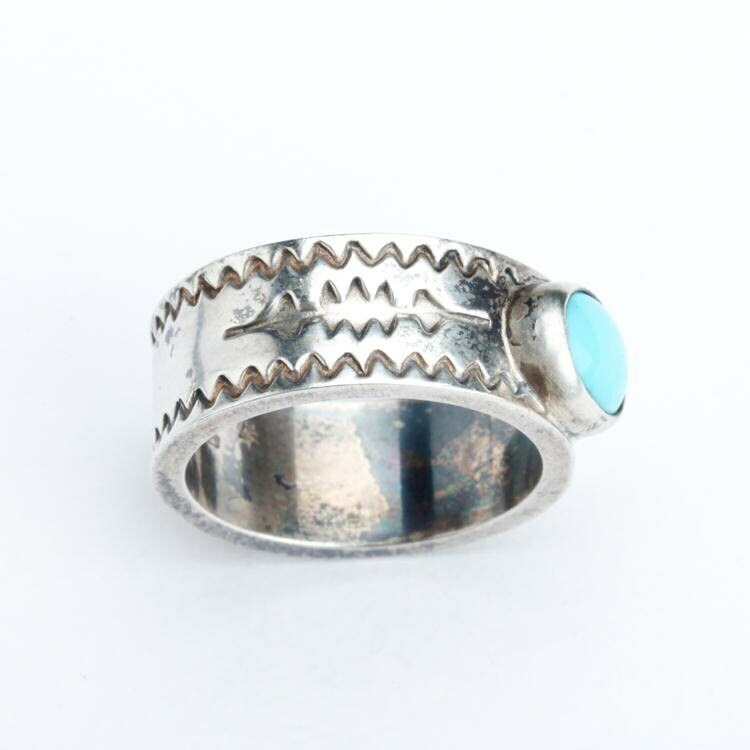 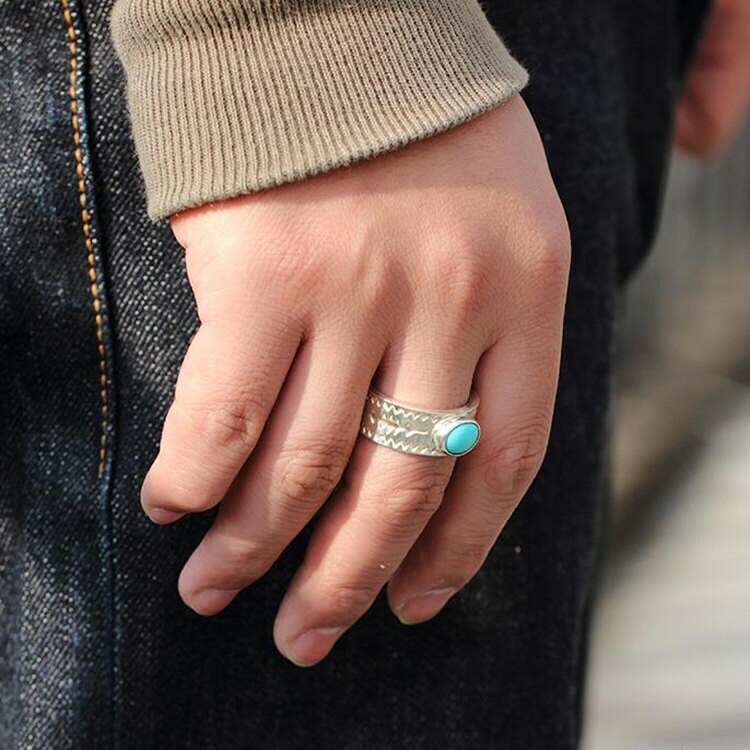 A single oval natural turquoise gemstone adds a beautiful dash of blue color to the gray silver band.